Peace, love and pompons! 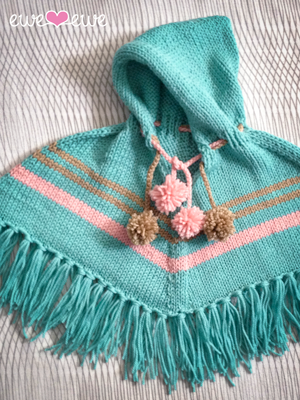 The Pompon Poncho is the perfect gift for your little love child. Knit with Wooly Worsted soft merino wool, you'll want to cuddle your little bundle all day long.